Carol Denney: Music, Politics, and the Metal Reed. Songs, tunes, and politics served friendly as breakfast. 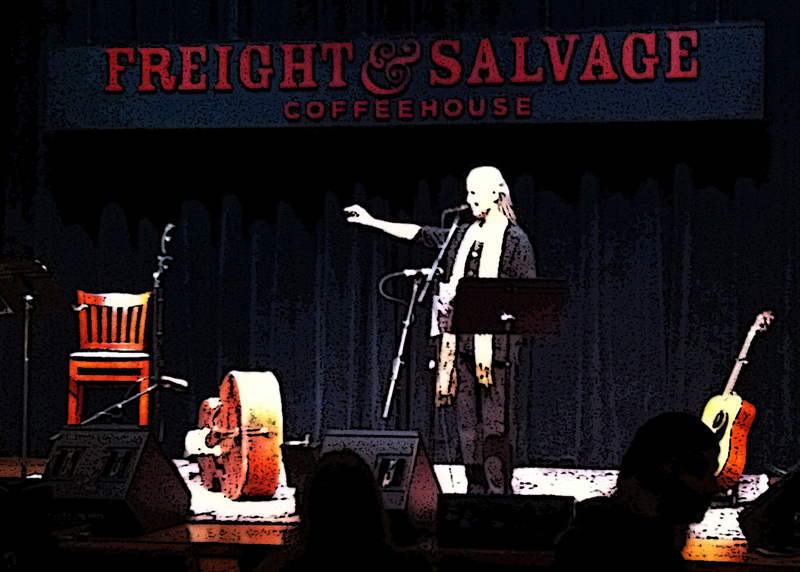 Thursday, 7:00 pm April 25th, 2019, Cafe' Chiave at Dwight Way and San Pablo Avenue, Carol Denney with Max Newton and Wendell Wolff - songs and singalongs in a cool cafe with a full menu. Sunday, April 28th, 2019, People's Park 50th Anniversary - yes, this year there are two - from noon to dusk with lots of music, information tables, dancing, food, and Carol Denney around 5:00 pm singing "I Saw the Light at the North County Jail" along with you if you make it there. Come sing. And call the mayor 510-981-7100 who campaigned on respecting People's Park and then betrayed it despite its landmark status. 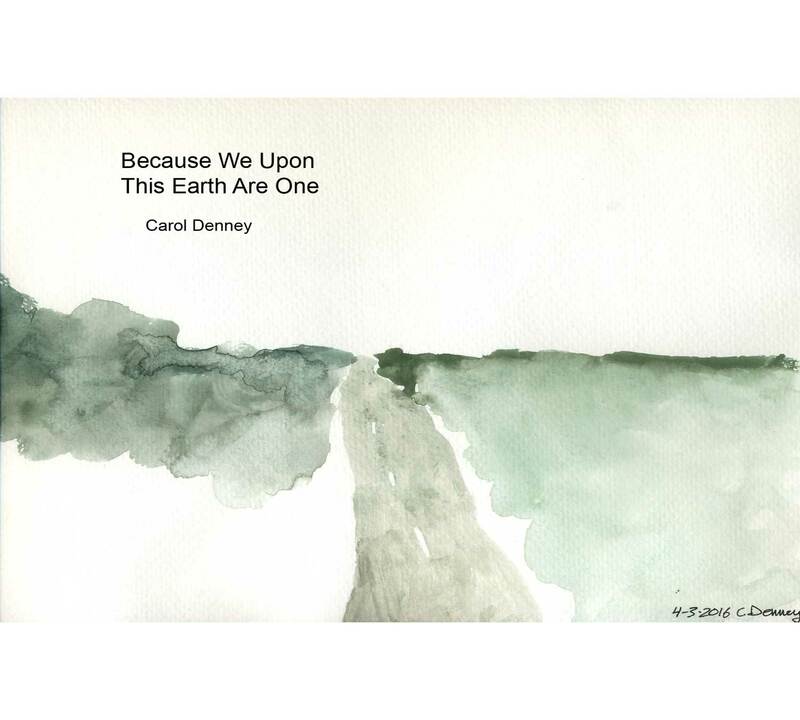 Saturday, 2:00 - 4:00 pm, May 4th, 2019, Starry Plough panel on People's Park with activist musician Carol Denney, park founder Michael Delacour, activist and artist Eddie Monroe, and others including Chancellor Carol Christ singing "The Chancellor's Song." 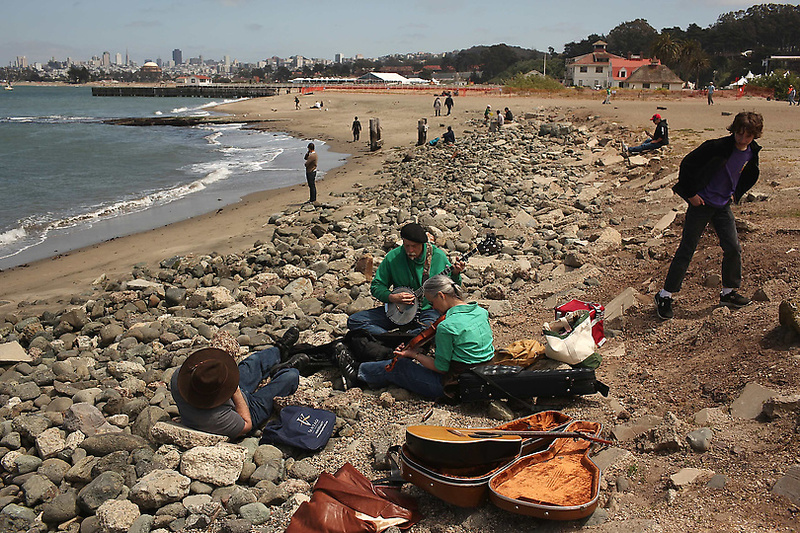 (Photo to the left) Jim Nelson, Jack Chernos, and Carol Denney played for the 75th Anniversary of the Golden Gate Bridge, then just went down to the water's edge and jammed with the fishes. Help preserve the wilderness in West Virginia by writing a letter to FERC - info here www.augustacountyalliance.org. ... RECORDINGS:,the newest of which is Because We Upon This Earth Are One available from this website and CDBaby. "Privatizing Public Space - the BART Plaza Issue"
Merry Christmas Body Count - a new sing-along Christmas Carol best sung in a broad Scottish accent. ...and also a song called "Dump Your Boyfriend at Christmas" --to be used only for extreme cases. "Where'd the Money Go? the Bailout Song", an ode to the bailout with special thanks to Alan Greenspan, featured on National Public Radio, available for free download for those who just can't help making fun of old Hank Paulson who loves you very much and only wants what's best for you anyway. A book, "The Inner Life of Pumpkins". For the bargain price of $5.95, a serious book which took years to write and research. alternatively titled Write the Check and Shut Up. How to Build Your Own Concertina , a step-by-step instruction for beginners. How to Make a Cardboard Traveling Crankie Theater and delight the world. "It's Not Police Surveillance; It's Love"
The Pepper Spray Times will make you wise and beautiful. March 2019 issue of the Pepper Spray Times. February 2019 issue of the Pepper Spray Times. January 2019 issue of the Pepper Spray Times. December 2018 issue of the Pepper Spray Times. November 2018 issue of the Pepper Spray Times. September 2018 issue of the Pepper Spray Times. August 2018 issue of the Pepper Spray Times. July 2018 issue of the Pepper Spray Times. The Best of Blasphemy, a project carefully guided to fruition by its spiritual advisor Carol Denney, is now available at http://www.thebestofblasphemy.com/index.html . Politics gets funnier as it goes along. Laura Drawbridge's original Free Radio Berkeley transcripts. Drop the SLAPP-Suit: The Real News About People's Park. The real improvement to People's Park isn't anything physical, and they won't let you talk about it. "Bob's Blankets", A short story in remembrance of Bob Nichols. "Save the Trains - Stop the Politicians"
"For the Gates, a song for San Quentin"
"Another Puppet Committee, or, The Canary in the Freebox"
"What's going down now in People's Park: donate clothing, get a ticket - how Berkeley can you be?" Politics is always worth thoughtful contemplation. 10 Myths About the Freebox in People's Park. Song for Kevin Freeman, killed in jail for no reason. The short story of micropower radio. Don't miss our novel feature, the Poetry Corner. The Simple Ways to Improve the World page. Homelessness and the 647j campaign in Berkeley. Paraleiptic Audio Analysis. The seminar which will change your life, make your bed, and do your laundry. Observations on World News. Commentary for the bewildered. The SLAPP-Suit. The People's Park free speech anomaly still unresolved. Your personal Permit to Stop the War. Be sure your friends have one. The Pepper Spray Times. The newsletter for the very brave. Click the writing hand for critics' comments. Click the concertina for information without which you may well perish. Some people can't get enough gratuitous commentary. You can email your orthoepic observations to " cdenney (at) igc.org ." Photos by Mark Nelson, Michele Thomas, and the Cliff House camera booth.